*Cholesterol* is finally officially removed from Naughty List. The US government has finally accepted that *cholesterol* is not a _nutrient of concern_. *doing a U-turn* on their warnings to us to stay away from high-cholesterol foods since the 1970s to avoid heart disease and clogged arteries. This means eggs, butter, full-fat dairy products, nuts, coconut oil and meat have now been classified as *safe* and have been officially removed from the _nutrients of concern_ list. US cardiologist Dr Steven Nissen said: _It's the right decision_. _We got the dietary guidelines wrong. They've been wrong for decades_." When we eat more foods rich in this compound, our bodies make less. If we deprive ourselves of foods high in cholesterol - such as eggs, butter, and liver - our body revs up. The Real Truth about Cholesterol. The majority of the cholesterol in you is produced by your liver. Your brain is primarily made up from cholesterol. It is essential for nerve cells to function. Cholesterol is the basis for the creation of all the steroid hormones, including estrogen, testosterone, and corticosteroids. So you can stop trying to change your Cholesterol level. Studies prove beyond a doubt, cholesterol doesn't cause heart disease and it won't stop a heart attack. 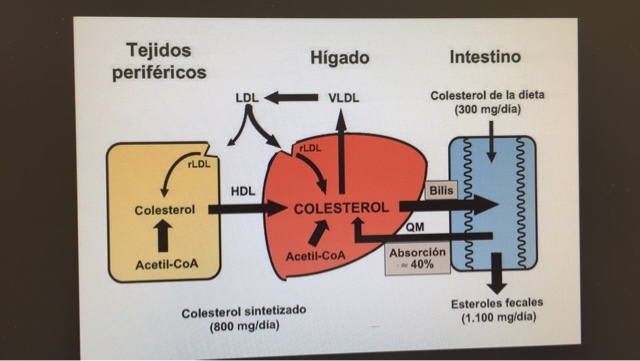 OUR BODY NEEDS 950 mg OF CHOLESTEROL FOR DAILY METABOLISM AND THE LIVER IS THE MAIN Producer. ONLY 15% OF CHOLESTEROL IS BEING DONATED BY THE FOOD WE EAT. Got to work more to maintain the level at 950 mg.
….. *Cholesterol is not found to create block any where in human body*.